The guiding principle of the brand consists in the founding of a new nation, an emergent community that gets a hold of new terrains through the ongoing construction of real estate developments. 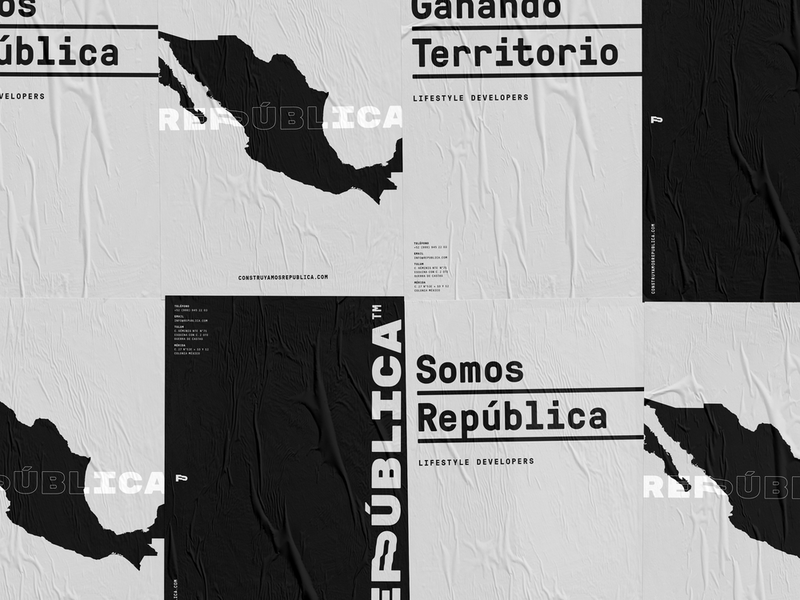 Under this notion is that the name República Lifestyle Developers is born; it christens a real estate development group that goes beyond the construction of residential and commercial spaces, focusing on the creation of diverse environments for all kinds of lifestyles. The strength projected by the brand is intended to serve as a differentiation factor across the competition, with a somewhat atypical, modern style, spearheaded by a wordmark that stands out and has contained within itself a waving flag in the letter "P", highlighting the full concept behind the project.